This is a neighborhood Auto Repair and Bodyshop that is spacious with 3 work bays including diagnose and repair of any make and model of vehicle, as well as SUV or pickup trucks. This business has been at the same location for 13 years and has many repeat clientele. The shop comes with a proprietary software system listing full details of all of the customers and vehicle details since 2005. 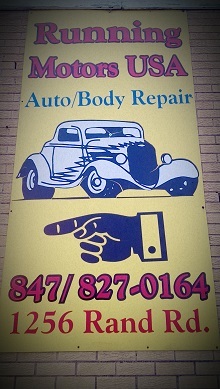 The auto body shop has a long-established history of quality and service. The business occupies a gorgeous building of 5,000 square feet with 200 square feet of office space and 4,800 square feet of shop and spray booth, and approximately another 200 sq feet of loft storage. The business also enjoys ample parking in front and rear of the building. We also have a very large online presence with excellent reviews on Yelp, Google, and Sure Critic.